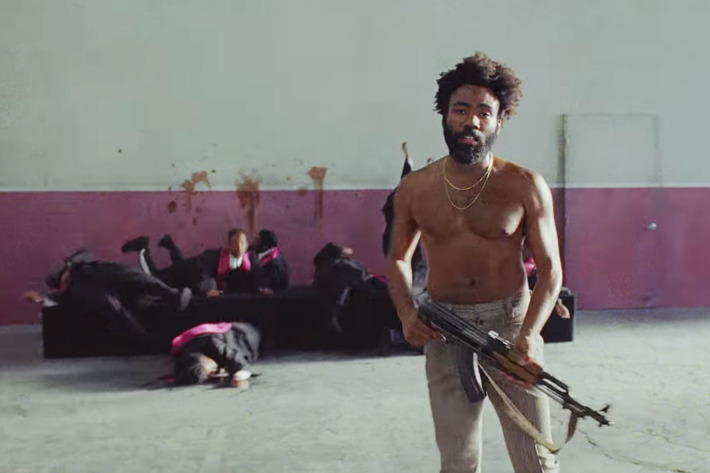 Donald Glover, also known as Childish Gambino, is shaking up the Internet with his music video titled “This is America.” It is a telling piece of art that inspects the contrast between culture and violence, and between the past and the present. Glover artistically references dozens of things such as the Jim crow caricature, children shielding America from gunfire, the glorification of pointless dances, and topics.. “Look what I’m whipping up. Don’t let me catch you slippin up” (Black people having the police called on them). The list goes on.. Check out this sure to be a classic and tell us what you think!